Welcome to the capitol’s heart, welcome to Citylight Hotel! To make you feel at home is our goal! A family atmosphere, 24-hour reception service, qualified staff and a hearty togetherness are part of our philosophy. 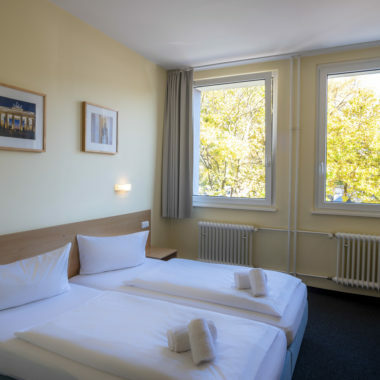 In the middle of Berlin’s government district Mitte and close to the vibrant neighborhoods Prenzlauer Berg, Wedding and Pankow, we welcome you to your temporary home. 90 friendly and comfortably furnished non-smoking rooms full of light are waiting for you. No matter if alone, as a family or as a travel group, we offer the right room for everyone. 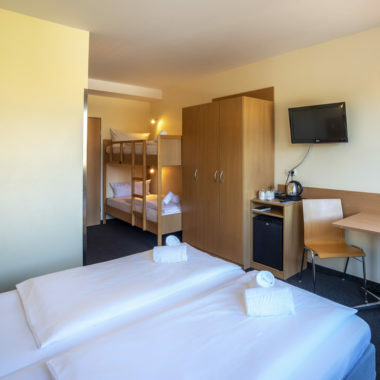 Shower, toilet, hair dryer, towel warmer, flat TVs with prime TV and a telephone are certain facilities. Moreover free Wi-Fi and a safe are provided in every room. Our comfort rooms, additionally offer a mini bar and a water kettle including a coffee and tea selection. Handicapped-accessible rooms are equipped with emergency facilities. Of course we do not forget about our little guests. Numerous articles of daily use for small children can be provided on request.